DIN is most commonly specified in European countries, while ANSI is usually specified in the United States. Therefore, the majority of factories in North America are likely to have piping that is ANSI certified, while similar plants in European countries have DIN piping. When working with piping that uses the ANSI standard, the flange bolt patterns, face-to-face valve dimensions and pressure requirements will all be in standard measurements (inches and psi). 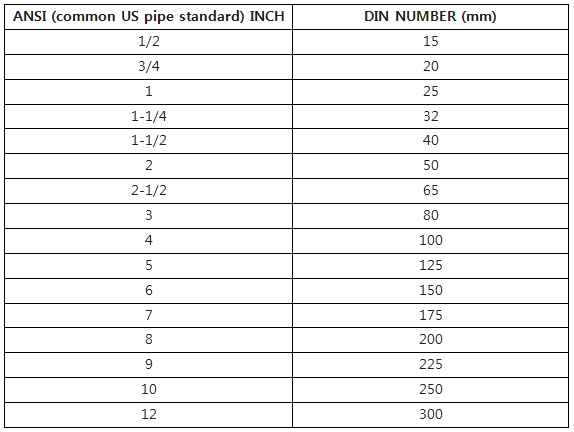 DIN standards use metric measurements (mm and bar) to measure the valve and flange sizes and pressures. In general, US-based companies, such as those in the automotive and food industries, choose to work with ANSI, especially if manufacturing is done in the United States. European firms typically employ DIN, even if manufacturing occurs in the United States. Baelz North America understands the diverse needs of the global market, so we offer both ANSI- and DIN-compatible valves and flanges. To learn more about our ANSI ISA-certified valves, visit our three-way control valves webpage or download the three-way control valves eBook below.